I am parenting 3 dogs and therefore, I know exactly how important it is to know everything about a product that shows even the slightest chance of making our pets better. Thus, asking if CBD oil has the capacity to get your pet high is not only obvious but imperative. Regardless of what you hear about the latest development in CBD oil for humans, you have this duty of researching everything you can before considering it for your furry friends. Cannabis: Although cannabis is a generalized term used for pot or marijuana, it is much more than that. Cannabis is a genus of flowering plants which belongs to the family, Cannabaceae. There are three known species of plants that come under the genus cannabis- Sativa, Indica, and Ruderalis. All of these species have their own characteristics which define their products as well. Cannabinoids: Cannabinoids are the organic compounds found in cannabis. There are more than 113 cannabinoids that we know about but two of them have dominated the industry for a long time now- CBD and THC. THC, short for Tetrahydrocannabinol, is the most popular, or rather the infamous cannabinoid. This cannabinoid is responsible for the high that we experience when we consume cannabis. Although it has been proven that THC has great benefits, it is also the truth that the psychoactive effects that one feels on consuming marijuana are because of the presence of THC. Cannabis species Indica is rich in THC and products sourced from this species are bound to have higher amounts of this cannabinoid. CBD, short for Cannabidiol, is another popular cannabinoid and for all the good reasons. Unlike THC, CBD doesn’t induce any psychotic effects on the consumer making it a good cannabinoid. Apparently, it offers the same health benefits as THC but in a milder form. Cannabis Sativa is rich in CBD and have lower amounts of THC making it an ideal species for sourcing non-psychoactive CBD oil for dogs. Hemp: Hemp, also known as industrial hemp, is a variety of the species Cannabis Sativa which is used for various industrial purposes including medicinal. Breeding of hemp over the years has made it possible to industrially grow the plant which hardly has any THC. CBD dominates this variety of cannabis Sativa and it is CBD hemp oil which has gained immense popularity in the industry. Most of the CBD supplements that you see online are made from hemp. Because they hardly have any THC, CBD oil made from hemp is legally compliant with the Farm Bill. So, Can CBD Oil Get Your Pooch Or Kitty High? The fact is, CBD oil formulated using cannabis consisting THC is a part of the medical marijuana program which is legal in the states that allow this program. And this CBD oil does cause a high in pets. However, CBD oil which is easily available for pets does not have THC as its ingredient. Because CBD is non-psychoactive, CBD oil sourced from hemp is available in all 50 states without any legal liability. The interesting fact is that the humans and dogs have the same endogenous cannabinoid system. Just like us, dogs have the same CB receptors that generate responses to the cannabinoids that enter the body. So, NO, CBD hemp oil doesn’t give a high to your pets just like we don’t get a high from CBD oil. CBD Has Anti-Inflammatory Properties: Studies have shown that CBD is extremely effective in reducing any kind of inflammation that could trigger pain. Regular consumption of CBD has shown a decrease in pain, inflammation, and increase in mobility in dogs. Treats Epilepsy And Seizures: There are studies being conducted to observe the effects of CBD on epileptic dogs who are also affected by osteoarthritis. Although the veterinarians are still in the research phase, many pet parents have used CBD oil for dogs to treat the symptoms of epilepsy and found success. CBD Manages The Pet’s Appetite: Nausea is one of the major reasons for losing appetite and CBD is known for making the recipient feel better. It targets the receptors responsible for appetite and its intake restores the balance eliminating the nauseous feeling. Prevents And Treats Cancer Cell Growth: There are a number of success stories which proves CBD oil is a great alternative to treat our pets for life-threatening ailments such as cancer. Even though there are countable studies that you can rely on, the pet parents have started becoming decisive when it comes to stopping cancer from killing their furry pal. Improves The Standard Of Life: Irrespective of the pet’s health, you can always rely on CBD hemp oil to make your pooch or cat’s health better. 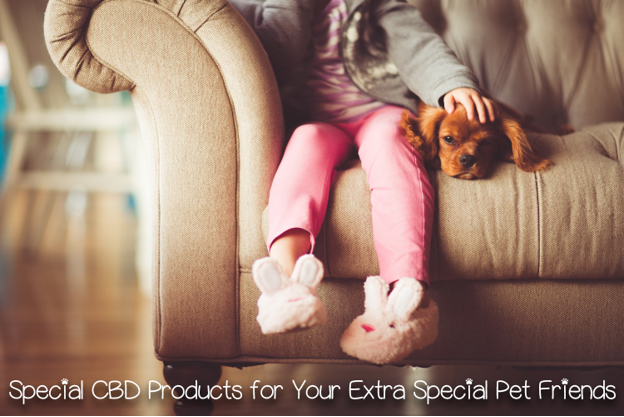 You may start administering CBD in form of treats at their early age to prevent early immobility in pets because of inflammatory diseases. CBD oil sourced from industrial hemp does not induce psychoactive effects in dogs and cats. Therefore, the CBD products including treats available online as well as offline are safe for administration without any psychedelic threat. However, if your state allows administration of cannabis CBD oil with THC to your pets, you could definitely go with this option in case of severe health ailments such as cancer. If you choose to rely on cannabis CBD oil, then you must know that this oil does have psychedelic effects on pets.